The tree Coffea Arabica originates in the high mountains of Ethiopia. Legend tells the story of Kaldi, a 9th century goat herder, who sees his goats dancing joyfully after eating berries from the coffee tree. Kaldi brings the fruit to a local monastery. One of the monks disapproves of his discovery and throws the berries in the fire. Intrigued by the fragrant smoke, the monks gather around the burning coffee. The roasted beans are quickly raked off the embers, ground and thrown in boiling water to make the first ever coffee infusion. Later the monks would use the energising brew to sustain them in their prayers. Coffee cultivation in Ethiopia may have begun as early as the 5th century, crossing the sea to the town of Mocha in Yemen and spreading to the Arabic Peninsula, where fermented coffee cherries were made into a wine called Qahwa. The precious beans were jealously kept in the continent for a long time and exported beans sterilized to ensure the monopoly. Another legend says the pilgrim Babu Adan smuggled 7 coffee beans back to his home in India. Eventually, the cultivation spreads in North Africa. The Dutch would later plant coffee trees in India and South and Central America, trading in Europe the golden beans known as Koffie. The Turkish people are said to be the first to import in Paris their home drink called Kave, made of roasted coffee beans, ground to flour and mixed with hot water in a small glass. The French called it Le Café. The Coffee Tree is a shrub pruned to 2/3 meters in height for easy picking cherries. In the wild, the height varies from 5 to 10 meters depending on the species. 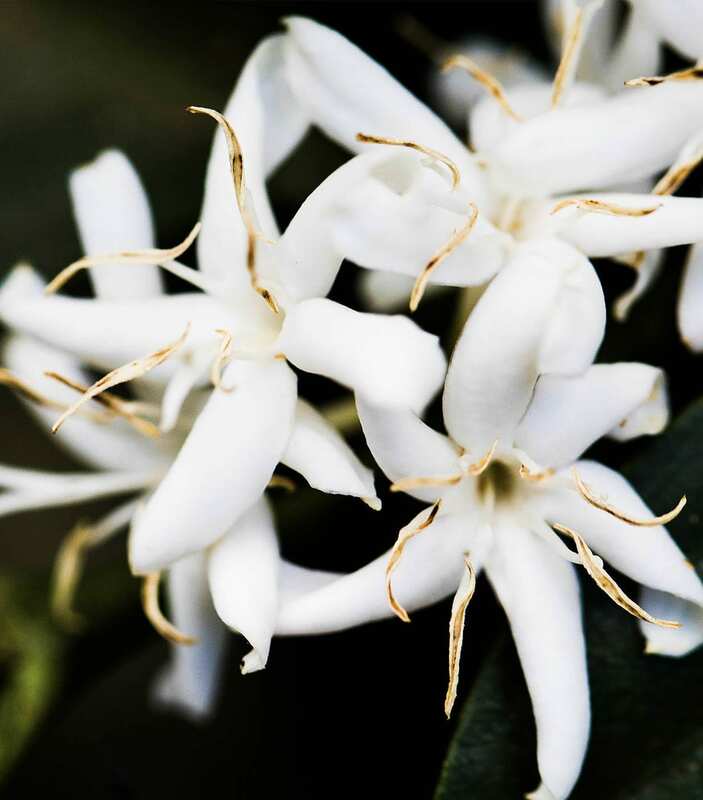 The flower is white, has a sweet fragrance of jasmine and lasts only a few days. The fruit is called the cherry, its colour changes from green to red when mature. It contains two seeds each wrapped in a shell that disappears when processing green coffee at the plantation. Another fine film remains, called the husk and this will disappear during roasting. There are 25 plant species of coffee. The two best known and most consumed species are Arabica and Robusta. Cultivated in plains of low altitude (less than 600 meters), it contains twice as much caffeine as Arabica and gives the cup a powerful and full-bodied character marked by bitterness. More valuable, it grows on the slopes or on hilltops and highlands, between 600 and 2000m. 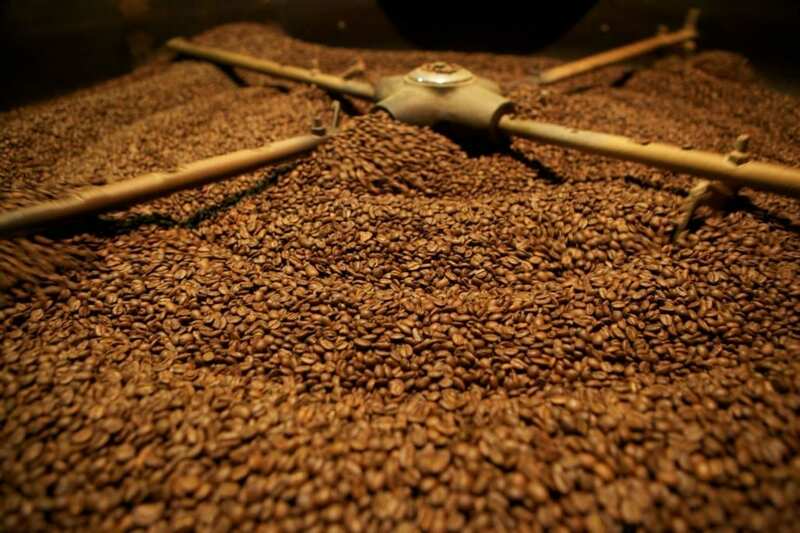 On the palate, Arabica is delicate, fruity and aromatic. The Arabica Coffee grown at the Highest Altitude are primed and sought after, as the Finest and Most Fragrant. Done by Manual or Mechanical means, this method allows the collection of all the coffee cherries in one go. Mainly used for low-grade Robusta and Arabica, this is the most economical method but gives a poorer crop yield because the fruits are never ripe at the same period. Once harvested, the two beans contained in green coffee cherries are extracted using different methods, the most famous are the dry and wet. A simple system of preparation that consists of drying the coffee beans immediately after harvesting in direct sunlight on large concrete areas. Once the humidity reaches 12%, the coffee is passed through a mechanical husker which will clean the bean from the shell. The coffee cherries are arranged in a pulper, which, under the pressure of the water removes the pulp and releases the parchment. The coffee is then placed into fermentation tanks for 12 to 36 hours where the remaining pulp is slowly removed with the help of microbes. After fermentation, the parchment coffee is washed using large amounts of water. 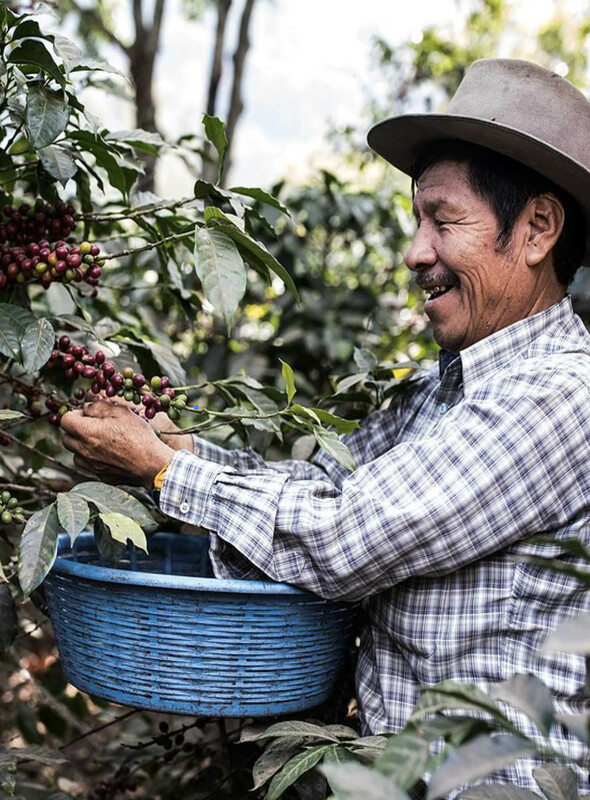 This method allows a natural separation of ripe cherries and brings the acidity that accompanies the aftertaste and aromatic coffee development. This technique requires heavy investment and treatment of wastewater from the cleaning of parchment which gives a more expensive coffee. The Tasting session and the Assemblage. 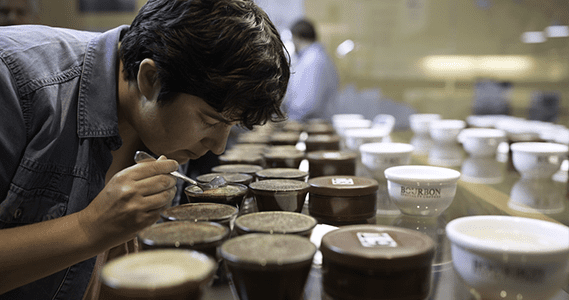 Every year after the harvest season, Anne Caron tastes the different origins of Arabica coffees and creates a new Assemblage. In the same manner, like Champagne, the assemblage perpetuates the taste of Le Café year after year. This is a delicate operation because every moment of cooking is important to develop the aroma of coffee. The work of the roaster is comparable to that of an alchemist: precise metering of different vintages. The magic happens when the artisan pours green beans in the roaster and it is at this point that cooking will exalt the flavours of coffee. This essay reveals a real know-how, recipes carefully preserved from year to year. Caron coffee is cooked in the traditional way; a slow cooking process ensures heart and regular coffee. This is a key step to bring out all the flavours. The expertise and precision of roaster are essential to release the aromas of coffee perfectly.